Healthy, happy employees are one of the cornerstones of the success of a company. The Retreat Palm Dubai MGallery by Sofitel can create customised corporate wellbeing programmes that will make a difference to the quality of your employees’ lives and inspire their personal development. In addition to unique wellbeing programmes, our experienced wellness team can also develop tailored team building activities for your staff, designed to improve their mental and physical health and increase employee engagement. 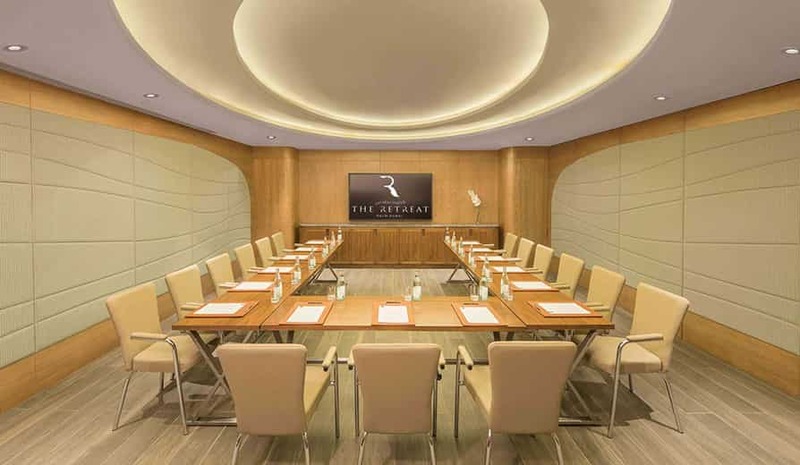 The Retreat Palm Dubai MGallery by Sofitel has two elegant modern conference rooms, both of which can be configured to suit your personal requirements. 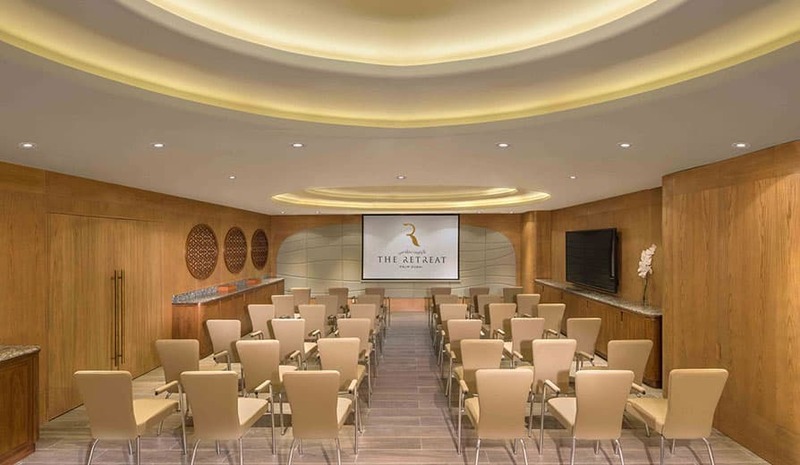 With complimentary WiFi access and state-of-the-art technology available, the inspiring surroundings of this luxury resort on The Palm Jumeirah make it the ideal place to host meetings and training sessions in Dubai. Throughout the year, The Retreat Palm Dubai MGallery by Sofitel hosts a series of world-class wellness seminars, led by our highly experienced NLP Practitioners, Life Coaches and Health & Nutrition Coaches. These seminars introduce and discuss the latest innovations and developments in physical and mental wellbeing, as well as presenting nutritional advice and food preparation demonstrations by our Wellness Chef.